❶ Services of the best online flower delivery service to any part of Riga and Latvia. Services of the best online flower delivery service to any part of Riga and Latvia. Do you want to congratulate your relatives and friends on the holiday by sending them a flower bouquet? Then use the best online flower delivery online service to the capital and any city in Latvia. Online shop KROKUS offers to make a purchase of a bouquet on the website just in 5-10 minutes. We will perform online flower delivery same day, hand the bouquet to the gifted in perfect condition along with your best regards. You can just call the operator at any time to order the best online flower delivery company KROKUS. ● extensive possibilities of courier service. Why KROKUS is the best online flower delivery company in Riga (Latvia)? ● Delivery of flowers exactly on time. If you want to receive a bouquet in the appointed place and at a certain time, the best solution is to order its delivery on time. When making an order, select this service, and the courier will bring your flowers strictly at the appointed time. ● Anonymous delivery of a bouquet. Do you want to leave a shroud of secrecy and to create a little intrigue? Then use the service of anonymous delivery of flowers by courier. Any girl will be delighted to receive a bouquet of flowers from a secret admirer. ● Delivery without the address of the recipient. If you have met a girl recently and you have not found out yet where she lives, but you already want to give her flowers, then just use the bouquet delivery service by phone number. Specify it when making an order and our courier will agree himself with the gifted, where and when it is convenient for her to take flowers. ● Online flower delivery same day in Riga (Latvia). This service is suitable for those who did not have time to purchase flowers in advance or suddenly learned about the upcoming holiday event. Urgent delivery will help to receive a bouquet on the day of the order to hand it to the gifted in time. 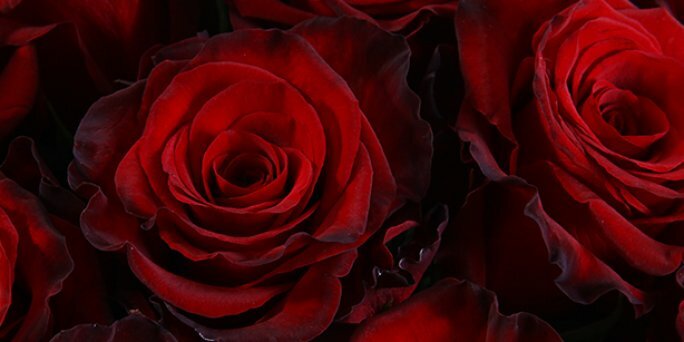 Besides the above listed services, our customers have the opportunity to receive a photo report on the delivery of the bouquet, to see the appearance of the arrangement before sending it, to use the feedback service and to receive a letter from the gifted person in which he will tell about his impressions of the gift, etc. KROKUS is the top online flower delivery shop in Riga and all over Latvia thanks to such opportunities of the courier service, as well as an individual approach to each customer.